Introducing: My Spoiled Bearded Dragons! 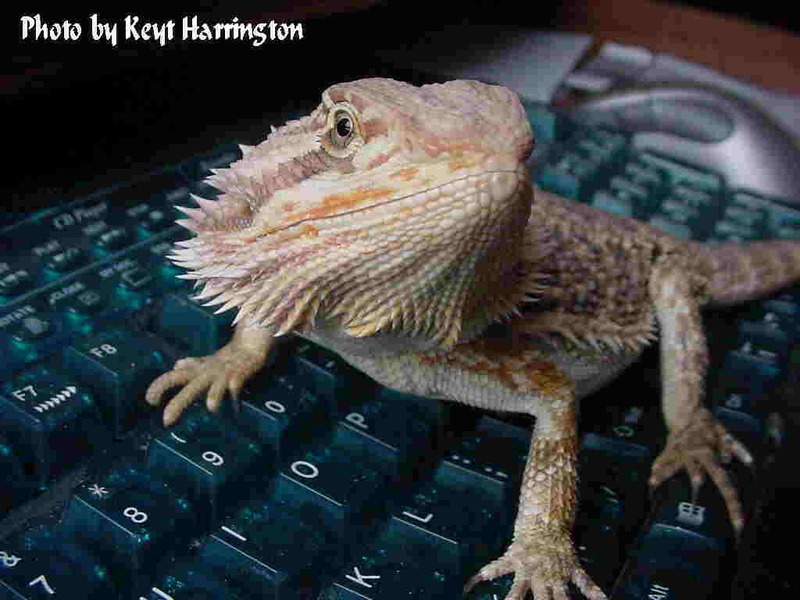 The Bearded Dragon (Pogona Vitticeps)is a desert lizard from Australia. Although their spiny sides and their 'beards' when they are puffed out make them look dangerous, they are actually quite gentle and loving. In fact, if you can catch them (they are fast runners! ), it is possible to hold one from the wild! Just like any animal, dragons require someone willing to give them lots of care and attention. If you are looking for a good first reptile pet, the Bearded Dragon is definitely what I suggest. They are gentle, loving animals as well as fun to watch. Of course they aren't furry and cuddly like a dog or cat, but they do love to be held, or to sit on your shoulder when you go for a walk or sit at your computer. Bearded Dragons rarely bite, so they are highly recommended for children, especially if you get one as a baby. I used to work at the local area schools, and quite often my dragons would come with me. Each dragon would be held by 10 or more children at a time, and not once did any of my dragons get irritated or bite anyone! This is one of my sweetest and prettiest one year olds, Karma. 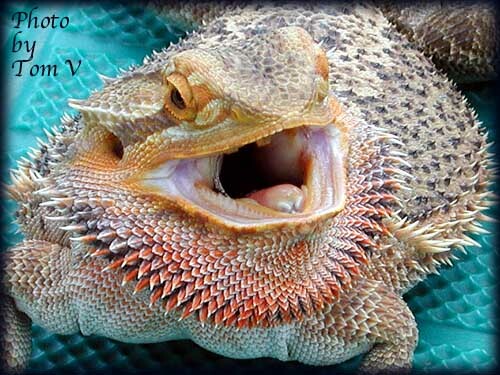 Those spikes are often what scares people about the Bearded Dragon, but they are actually softer than they look! This beauty is Sandie showing off her beard, one of the reasons why some people think twice about touching my Dragons. 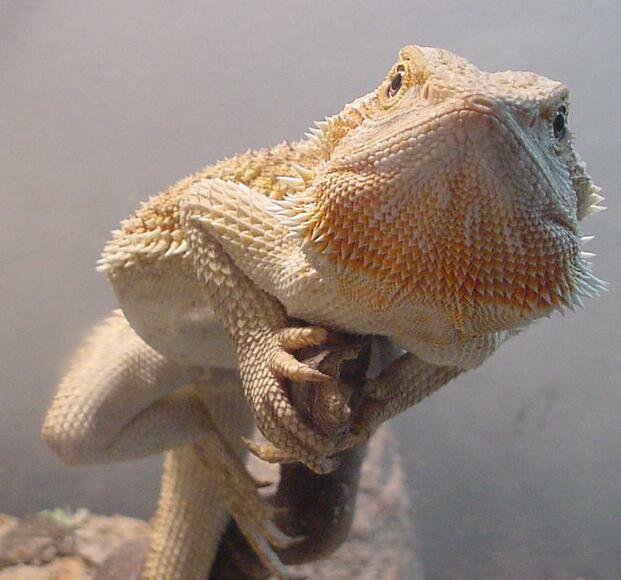 Female Bearded Dragons display their beard when they usually don't want to be disturbed, and males do it to show off when they are 'flirting' with other females. Sandie belongs to Amanda Vandiver, Tom and Jackie's granddaughter. Another one of my colorful dragons, Bella from Tom and Jackie Vandiver at Bearded Dragons and More!